Fairy bread is such a fun idea. A colorful breakfast can’t get any simpler than fairy bread. While, I never had fairy bread when I was growing up as a kid, it’s a common kid food in other parts of the world. But since I missed out on that part of my life, I’m thoroughly enjoying fairy bread to the max now! The good thing about being an adult eating fairy bread? No one will limit how many you consume. 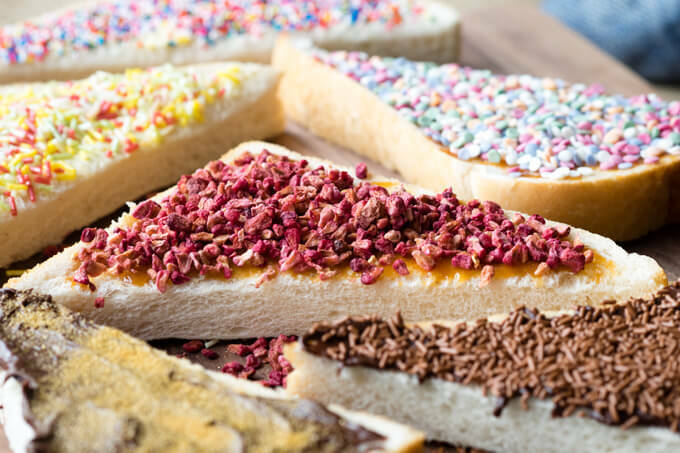 The most basic description of fairy bread is a sliced white bread with margarine and covered with sprinkles. 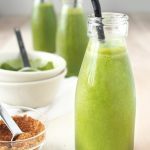 Most commonly, you’ll see these served in Australia, and often at kid’s birthday parties. 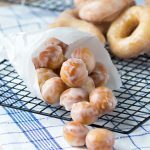 It’s a very quick and easy snack to make, and of course, fun! But Australians aren’t the only ones to eat sprinkles on toast. The Dutch also eat sprinkles on toast. They call it Hagelslag on bread, and a favorite is chocolate sprinkles. Don’t believe me? Even Amazon stocks it. I count down to my birthday every year, because in our household, the birthday person unabashedly plays the “birthday day!” card. The birthday person doesn’t have to do anything, and can make whatever requests they want for food. No need to take the dog for a walk, no need to feed the baby, no need to even put used dishes in the sink. Lucky for me, it was my birthday this week. Jonathan had dinner and dessert covered (a perfectly grilled ribeye steak and chocolate mocha cupcakes), but we had a miscommunication of sorts about the birthday breakfast. I (rightly) assumed he was making it – it was my birthday day after all! 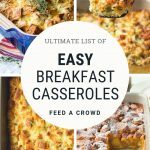 And he (rightly or wrongly) figured I would be making it since I’m the breakfast person in the household and I’m picky about my morning meal. We ended up with nothing on the table that morning for breakfast! So of course I threw something together quickly. 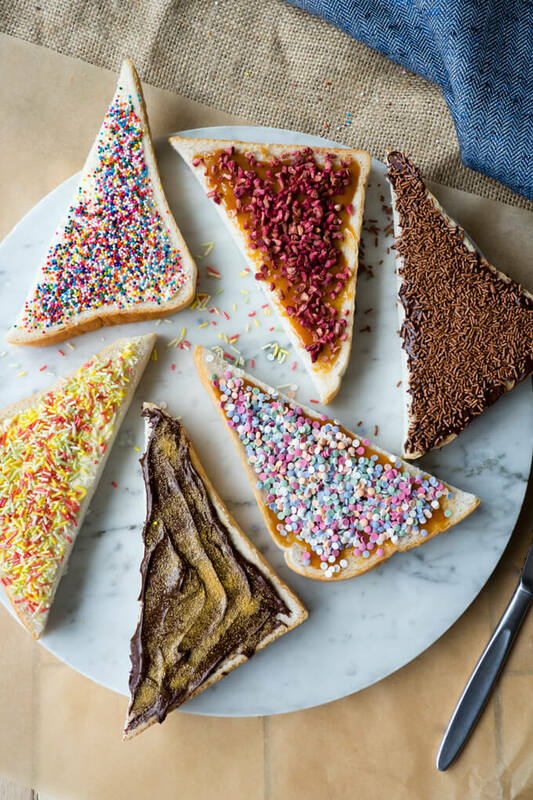 These fairy bread ideas are easy enough that he could definitely make this birthday breakfast, but well, hello! I’m the breakfast girl. So I happily did it. And the best part of it is that I get to share all these fairy bread ideas with you today. 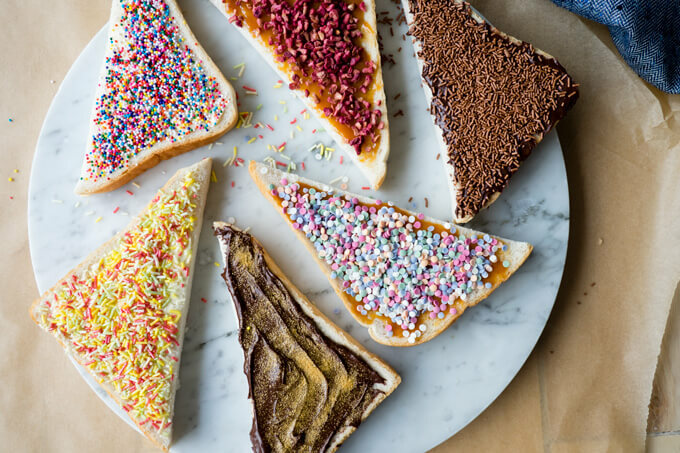 Birthday breakfasts call for sprinkles, so with everything we had in the flat that morning, here it is – a Fairy Bread Smorgasbord of sprinkles on toast! To the well traveled, sprinkles on toast might not be such a big deal. But I couldn’t get over how beautiful all these fairy breads looked when set out together. 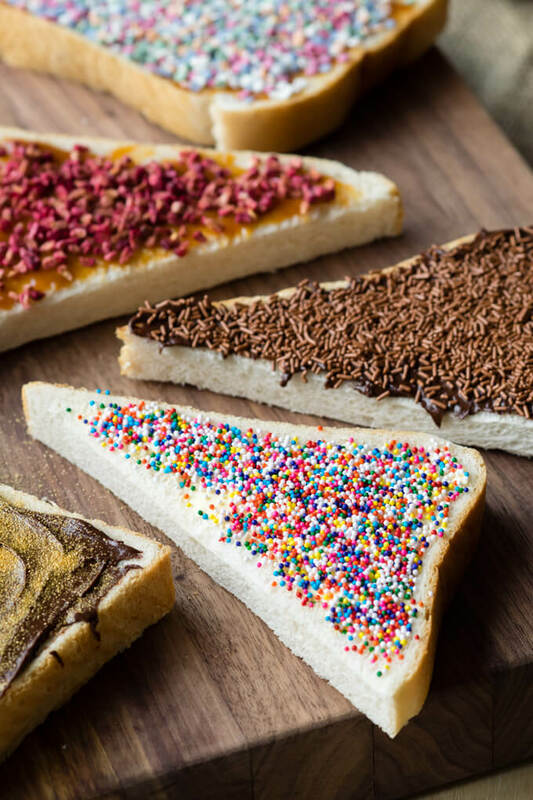 The best part is that while I give you six different fairy bread ideas, there’s an unlimited number of fairy bread ideas that you can try at home. 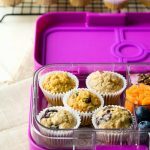 Get creative, get sprinkle messy, and have fun! I started my fairy bread smorgasbord with a classic slice of rainbow sprinkles on toast, but I wanted more. So I pulled out the next jar of sprinkles, and put that on my toast too. After that, I decided I needed to also add on a chocolate option (like the Dutch hagelslag). Out came my trusty jar of chocolate hazelnut spread… and the chocolate sprinkles. There. I had both the Australian fairy bread and the Dutch hagelslag on the table. But I didn’t stop there. I brought out my American love for salted caramel, and slathered that on the next bread, topped with some freeze-dried raspberries. Before I knew it, I had created 6 different sprinkles on toast for my Fairy Bread birthday breakfast. I probably could have kept going, but I know my limits, even on my birthday. 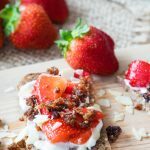 These fairy bread ideas of sprinkles on toast has a few different flavor combinations so there’s something for everyone. 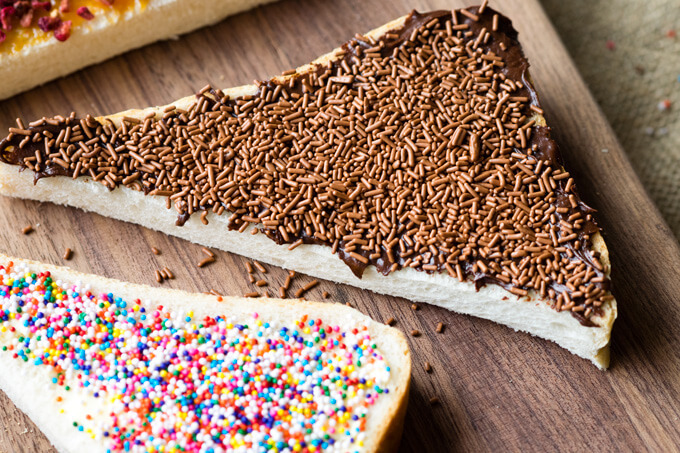 For a simple sweet, the classic fairy bread of hundreds and thousands or jimmies on buttered toast are sure to please. If you like a richer taste, opt for the sprinkles on caramel sauce. To the chocolate lovers out there, the chocolate sprinkles on a chocolate and hazelnut spread won’t let you down. And for those who like a fruity sweet, try the freeze dried raspberries on a caramel spread. The beauty of this birthday breakfast is that you can literally use any sprinkle on your toast, so don’t be limited to these combinations. 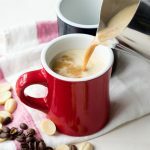 I’m hoping that by sharing this very simple birthday breakfast idea, no one will have to ever wake up to a birthday without a birthday breakfast. You all deserve a special breakfast on your birthday. 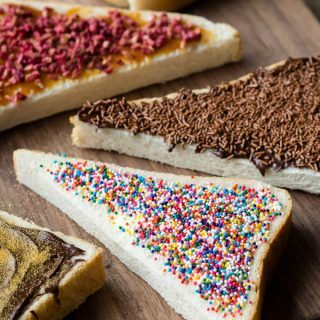 This collection of fairy bread ideas is so easy to make that there shouldn’t ever be an excuse for you, your partner, your roommate, or even your kid to not make it for your birthday. Or be like me and make it for yourself. 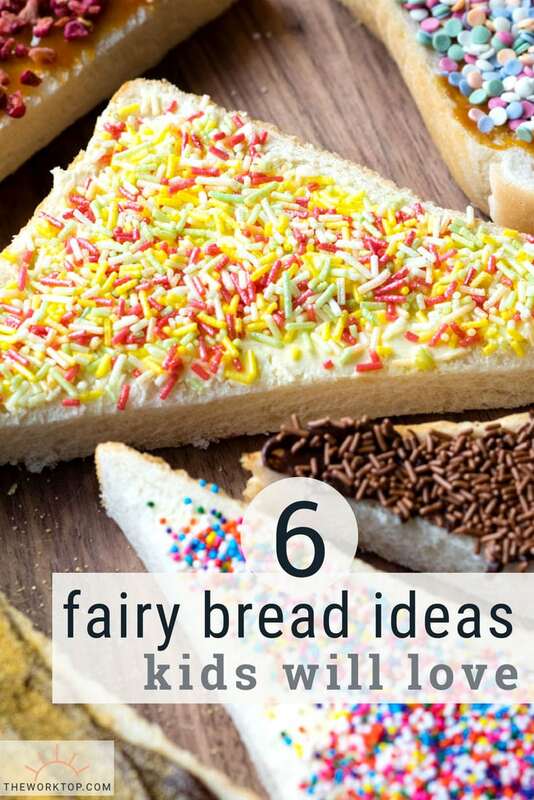 You'll love these fun Fairy Bread ideas! 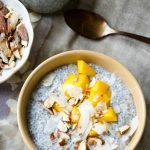 Find six different fairy toast recipes. Who can turn down these colorful sprinkles on toast? 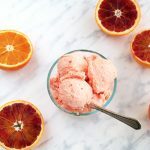 This is a fun and colorful breakfast to satisfy your sweet-tooth. 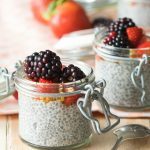 And this recipe is perfect for a birthday breakfast, or for any morning you need a colorful pick me up. Spread margarine on a slice of bread. Sprinkle on a generous amount of nonpareils (hundreds and thousands). Spread margarine on a slice of bread. Sprinkle on a generous amount of rainbow jimmies. Spread chocolate and hazelnut spread on a slice of bread. Sprinkle on a generous amount of gold sanding sugar. Spread caramel spread on a slice of bread. Sprinkle on a generous amount of freeze-dried raspberries. Spread caramel spread on a slice of bread. Sprinkle on a generous amount of confetti sprinkles. My preference is to not toast the bread for this recipe. I like the contrast between the chewiness of the white bread and the crunch in the sprinkles. It is a personal preference, so you may find that you prefer a toasted slice of bread. *To make this smorgasbord vegan, use a dairy-free margarine, a free-from chocolate hazelnut spread, and a vegan caramel sauce. Make sure you use vegan-friendly sprinkles too. 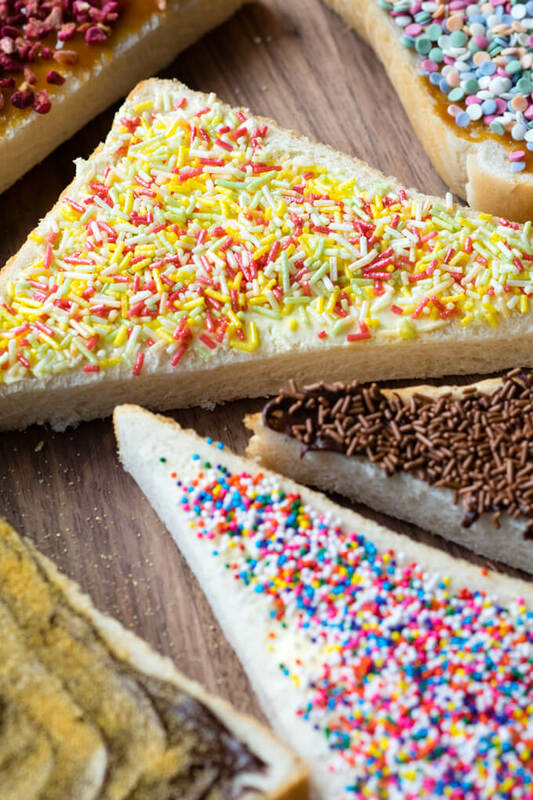 Here is Australia fairy bread is a standard at all parties. But these are beyond fabulous, I love all the combinations!!! There’s a word for this in Dutch that my aunt will kill me for not remembering but I absolutely LOVE to have this bread when I visit her for a special treat! Tina. I *love* this! I kind of want to serve fairy toast for dinner tonight… it’s so simple, and as a sprinkle hoarder, it speaks to me. My daughter would of course think it was brilliant too. It’s a shame her birthday passed, but we’re in the correct month, so I suppose a little belated celebration couldn’t hurt, right?